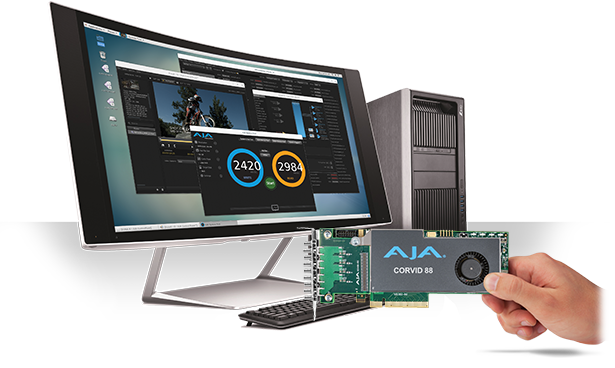 AJA has a broad range of Developer Partners who rely on our powerful SDK, providing an astounding amount of solutions to the Broadcast, OTT and ProAV communities. 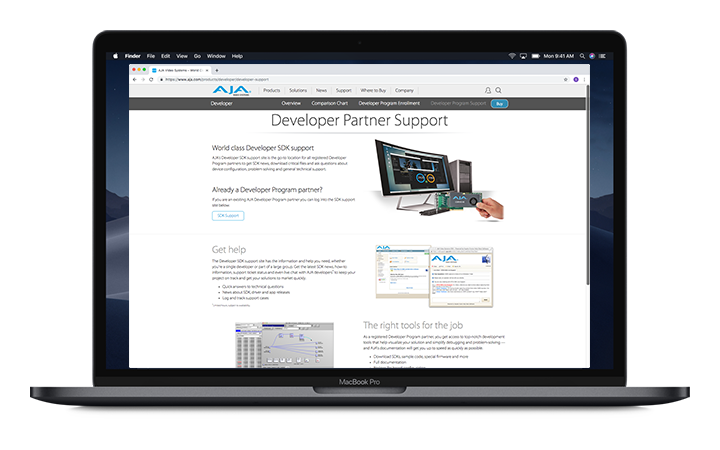 If you would like to join them, please Enroll in AJA’s Developer Program and become a proud AJA partner. 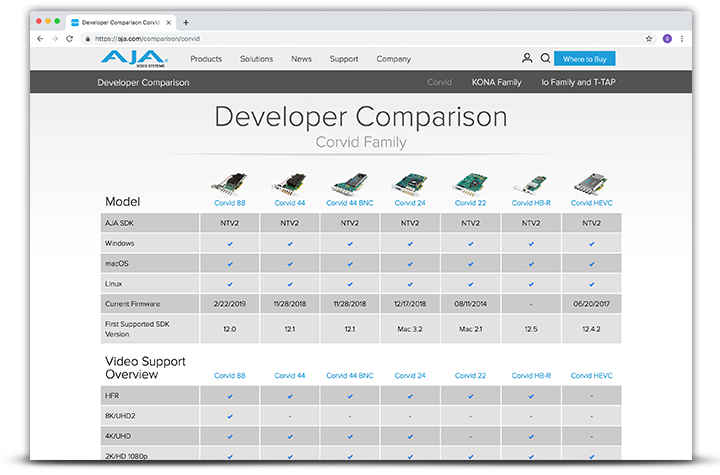 Corvid, KONA and Io products offer a wide range of features and capabilities for video and audio I/O. Please see our Product Comparison Charts for the latest details.